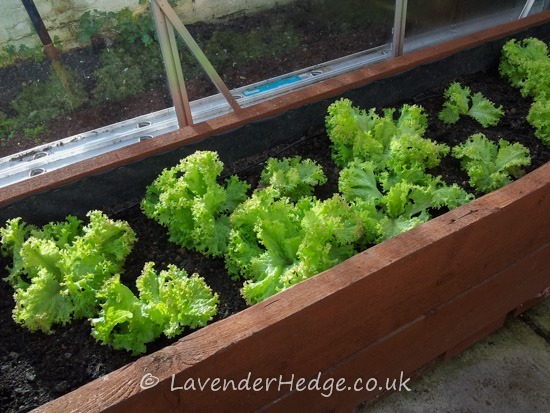 The lettuces I planted in the greenhouse about a month ago are growing well in the mild weather. 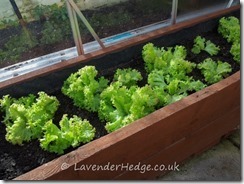 I have started to crop the larger leaves, leaving the plants to continue growing. Now it’s started to get a little colder, the greenhouse has been lined with some bubble-wrap to try and prolong the life of the lettuces!